Bring your “ENERGY” to the Milwaukee Radio Group! ENERGY 106.9, our exciting Top 40 Hits station is growing our team of on air talent as we continue to build our brand! Can you engage listeners with relevant music content, humor, pop culture and topics that matter to young adults? Are you a master of fun, compelling social media? Is your personality contagious and upbeat? 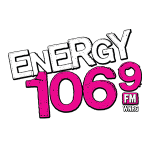 Send your resume and presentation (mp3 / under 2 minutes please), social media links and anything else that sells YOU to jobs@energy1069.com. Make your subject line count! ENERGY 106.9 is owned by Saga Communications, Inc., a company committed to diversity in the workplace. 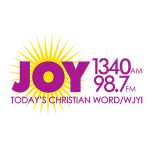 The Milwaukee Radio Group (WKLH, WHQG, WJMR ,WNRG, WJYI) is in search of a proven and respected Sales Professional. This outside advertising / commercial sales position includes solid income potential. Candidates must be charismatic, driven, resourceful, professional, organized and customer focused. Excellent communication skills and the ability to create and cultivate client relationships are essential. Strong negotiation skills a must. Only seasoned sales professionals need apply. Great references and an impressive sales track record required, along with a valid driver’s license. Saga Communications is an equal opportunity employer. The Milwaukee Radio Group consists of 5 radio stations located in the heart of Milwaukee. We are looking to hire a part time employee with a passion for technology, electronics, and audio broadcasting. Duties primarily include assisting the engineering team with remote broadcast setup, studio construction and wiring, and general station maintenance. Hours: 10-20 per week. Other tasks will be various and technical in nature. • To have a valid driver’s license. • The ability to lift 50 lbs., climb ladders, and stoop to perform tasks. • To work outside normal business hours. • A basic knowledge of electronics, audio technology and basic computer skills. • Some experience with electronic troubleshooting. If you are the center of attention wherever you go, can work a smartphone and love music… YOU are more than qualified for a job in radio! The Promotions / Marketing Department is accepting resumes from college students interested and serious about crankin’ up their skill set while getting real-world experience from Milwaukee’s leading street team. Get your foot in the door and learn from the best! You will represent our radio stations (102.9 THE HOG / 96.5 WKLH / Jammin’ 98.3 / ENERGY 106.9) to listeners at events, concerts, bars / clubs, festivals, etc! Internships are available to all college levels or accredited broadcasting / media school programs. Hours are flexible and will vary with individual schedules; however, applicants should be prepared to work mostly weekend and evening hours.